Description: NS runs a proud operation in Chamblee. Title: WB Norfok Southern 960 with NJT Locomotive @ 1109 hrs. Description: H2W with a long train and a Conrail leader heads northbound through South Williamsport. Description: The Shifter traveling in reverse back to Hershey. Description: The Hershey Shifter stopped at CP Tara. Description: The PRR 3029 pulls out of the Bergen Tunnel. 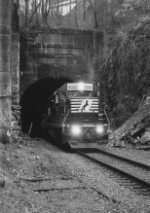 Description: Norfolk Southern Croxton relief job, NS HC60 emerges from the Bergen Tunnel beneath Jersey City, NJ. Description: Almost 1,500 gallons in the tank of this former Conrail GP40-2. Description: Norfolk Southern's Croxton relief job HC60 in Ridgewood Station. Description: The NS HC60 in the station at Ridgewood, NJ. Description: NS H3W traveling north through town, nearing Northumberland Yard. Today's train (at least on the Enola to Northumberland component) had 47 cars, including an 80,000lb scale test car built in 1927. Title: NS H44 3029 on siding. Description: Sitting on siding in morning light. 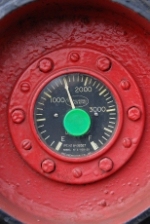 Title: NS H44 NS 5259 Switching. Description: Northbound backing onto Watsontown siding to pick up his train to go south. Title: NS H44 NS 5259 / NS 3029 RT 44. Description: Southbound with 15 cars for Northumberland yard. Title: NS H44 NS 5259 NS 3029 on main track. Description: Southbound on main track with 15 cars for Northumberland yard, in morning light. Description: First train of the semester is H3W heading south under blue skies. Description: A short three car H2W heads northbound through South Williamsport. Description: On the controlled siding now the H2W will head up for a stop at CP Bud to await a rail train. Description: Looking over the bean fields outside of Nisbet H2W heads north for an approach signal at CP South Linden. Description: As the KH30 reverses down to the North Shore interchange track H3W pulls south for some head room. Description: With a very large train H3W heads southbound through Sunbury passing the old station. Description: Three GP40-2's power todays H2W northbound past a freshly repainted signal at MP219. Description: A look at the NS Northumberland Yard. 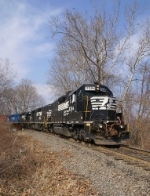 Description: NS 3029 and 5120 in Northumberland, PA. Description: H74 local working the Black River & Western, Main Street, 1440 hours. Description: H75 slowly pulls forward. The train will stop as soon as the last car clears the switch, and it will reverse onto the Hercules Industrial Lead. Description: A wider view of H75's power. The overpass in the background carries PA Route 33 over the tracks. Today's H75 carries a consist of five lumber cars for Universal Forest, two covered hoppers for Lamson & Sessions, and a single tank car for Crayola.